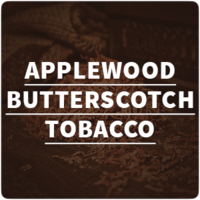 A smokey Applewood on the inhale, followed by a thick Butterscotch on the exhale, with a dry Turkish blend throughout. FW Butterscotch Natural 5%: Provides a broad sweetness and contributes to the mouth-feel. 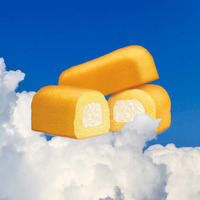 Most of the butterscotch flavor is on the exhale. Heavy presence in the aroma. NOTE: This mix uses the "Natural" variant or FW's Butterscotch, which is not as sharp and can be used at a higher percentage without imparting an off-taste. CAP Cinnamon Danish Swirl: 0.5% is just enough to bring a spicy complexity. FA Desert Ship Blend 1.5%: FA's best Turkish blend. Sits nicely in the background and brings a smokiness to the woody profile. FA Fuji 3%: In many recipe's, 3% will give you a forward apple. Not here; this mix is dark. After a steep, it's just enough to infuse an apple flavor. FA Oak Wood: At 1% we get a strong woody flavor. Not a lot of complexity, but other flavors blend into it nicely for some depth. TFA Strawberry Ripe: 1% is just enough to bring some fruity sweetness. 1.5% also works, but at 2% and higher, I swear it begins to mute everything in mix. Could just be me though. Steep Notes: As a shake and vape, the Fuji is a little "on top" of the mix, instead of within the woody profile. Also, the butterscotch needs a 2-3 days to blend into the overall background. I suggest a 1 week steep. After that, things will just continue to smooth out. Since tobacco's tend to continually develop over time, the Fuji might mute a little after a month or two. Try adding 1 drop per 10ml to liven it up, if you so desire. Also, color may slightly darken over time. Other Notes: Developed at 85vg/15pg (max VG), 3mg nic on a Goon with 28GX2/40G 316L Fused Claptons, 0.3 ohms @ 70 watts.